How we imagine and design matters. How we build and make matters. Actually, it all matters. Check out some recent stories that grabbed our attention. Building on technology. Construction has traditionally been slow to adopt new technologies, but just wait. Fortune talks to Autodesk’s Jim Lynch and Pat Keaney about the technologies remaking the industry, like AI, IoT, and the cloud. CEO Andrew Anagnost shares his thoughts on bringing more automation to construction sites with Building Magazine. Building bots. Speaking of automating construction, check out this humanoid robot that can install drywall (via New Atlas). Or this new system that can 3D-print an army barracks in a fraction of the time it takes to put up a wooden frame (via Core 77). Chairs and careers. Enabling people to “forget gravity”—that was the humble goal for the design of the new Cosm chair from Herman Miller. Design Milk takes us inside the design process of the team at Studio 7.5. And Core77 shares the inspirations and career paths of 4 different industrial designers from Belkin. “Demo or die”—that’s the motto for the design team at Studio 7.5. 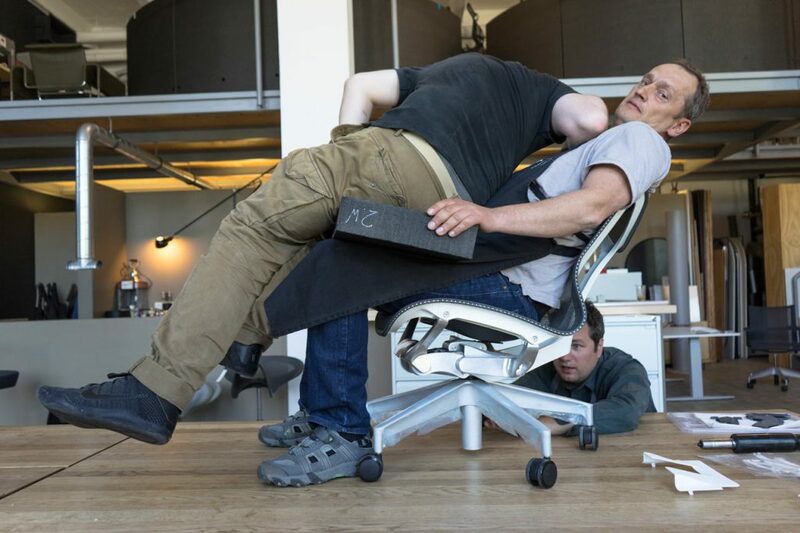 Here they test a prototype of the Cosm chair’s auto-harmonic tilt system. Credit: Studio 7.5. Rain or shine. 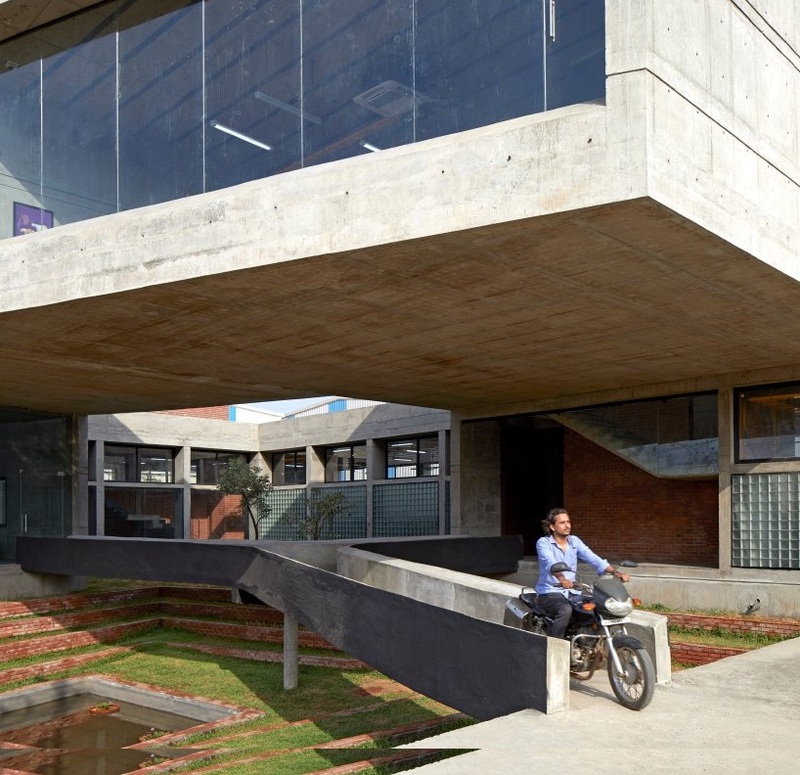 This building in Mumbai is monsoon-ready, thanks to a moat-like area underneath that’s a hangout space in dry weather and a reservoir for flood waters when the rains come. And Fast Company introduces us to a new reflective coating for buildings that can reduce the need for air conditioning. A void under the Vijay Transtech Factory in Mumbai traps flood waters during monsoon season. Credit: Edmund Sumner. Code switch. Only 1 in 5 computer jobs are held by women in the U.S. today. The nonprofit Girls Who Code is trying to change that by creating learning opportunities for girls in formative years. CNBC had great interview with founder Reshma Saujani.